Model: All of the cars have detailed, partially open frames. The side sills have a U profile facing outwards. The trucks are Minden-Dorstfeld designs. The cars come with and without heat shields. 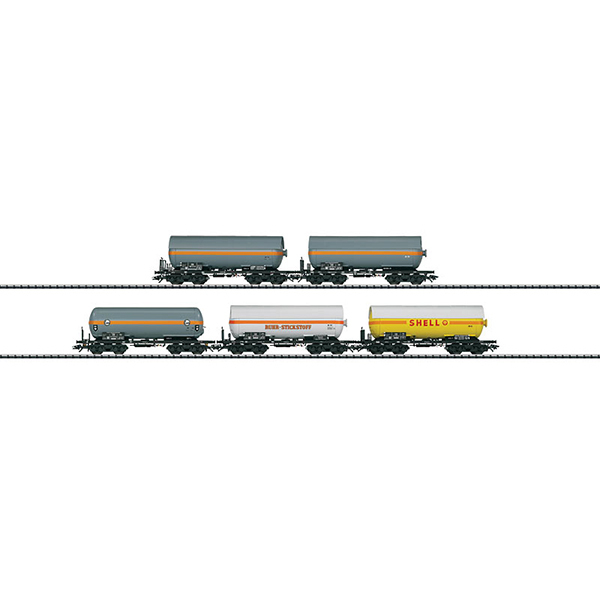 The cars have separately applied brakeman's platforms. The cars have different locations for the hatches. All of the cars have different car numbers and come individually packaged. There is also a master package for the set. Total length over the buffers 73.8 cm / 29-1/16. DC wheel set per car 4 x 700580. The class 41 steam freight locomotive to go with this set can be found under item no. 22927. This model can be found in an AC version in the Marklin H0 assortment under item no. 46546, but with different car numbers.